Durability and Ruggedness: Most electric scooters are comparable in terms of structural durability, but the larger concern here is what you intend to do with the scooter. If you're an urban user with access to well-paved roads with bike lanes or sidewalks, then a travel model like the AmeriGlide Traveler will do just fine, even with its low ground clearance. 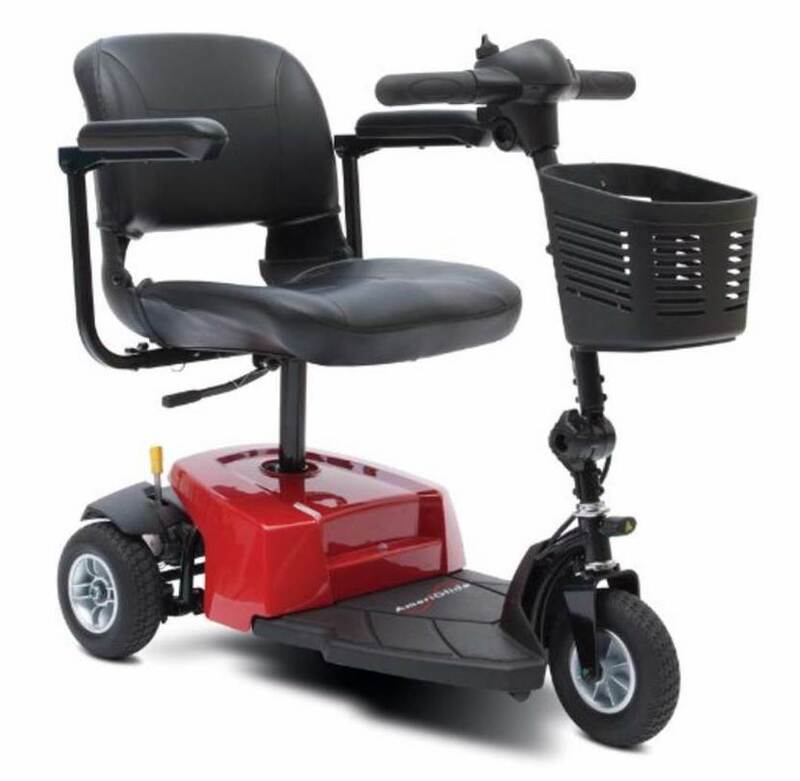 However, if you reside in a rural area where road conditions are rougher, or where you'll be riding for long distances on grass and unpaved dirt roads frequently, then you might want to invest in a scooter with stronger tires and higher clearance that will travel for long distances without needing a recharge. 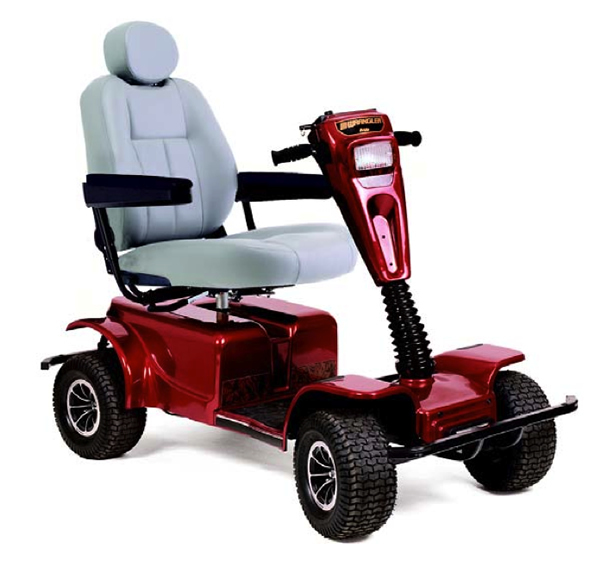 For these users, we recommend the Pride Wrangler, which features all-terrain tires and a ground clearance of 7 inches, reaches speeds of up to 10 mph, and can travel up to 35 miles on a single battery charge. Maneuverability: For maximum maneuverability, the most important spec an electric scooter can have is a low turning radius, which is essentially the amount of space needed for the scooter to make a complete 180-degree turnaround. Turning radii on electric scooters range from 31" on travel models to 72" on the largest heavy-duty scooters. 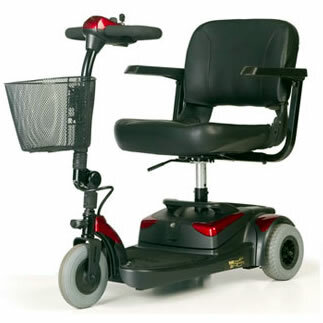 3-wheel models tend to be easier to maneuver around tight corners, and are generally preferable for users who are most likely to use their mobility scooter in a shopping mall or grocery store. For navigating around those pesky endcap displays at your local supermarket, we recommend the Golden Buzzaround, which has a turning radius of less than 33 inches. Portability: Consider your portability needs before buying an electric mobility scooter. Many travel scooters, such as the the Pride 3-Wheel and 4-Wheel Go-Go Elite Traveller, are designed to be disassembled for easy storage and transit in a vehicle. The AmeriGlide Traveler scooter, which weighs less than 100 pounds when fully assembled, not only disassembles into five pieces for your convenience, but also features a drop-in battery that requires no wiring. Other scooter models, while lightweight, may not fold, and heavier scooters will almost certainly require the aid of a vehicle lift to effectively transport. Safety: Many electric scooter users have disabilities which require them to consider safety precautions during scooter operation. For example, a person with right-side paralysis due to a stroke may be capable of driving a scooter with just his left hand (tiller handlebars are designed to facilitate just such operation, in fact), but such a person may also lack the necessary balance required to stay on the scooter seat without a safety belt. Most of our electric scooters can have safety belts added on as an optional feature for less than $50.00, with belt sizes ranging up to 70 inches in length. Also, if you intend to ride at night, headlights are a must. The majority of scooter headlights are LED, but some have adjustable dual bulb headlights. Some models even feature turning signals for users who may need to navigate normal vehicle traffic in their neighborhoods. You might also want to consider a 4-wheel scooter model for maximum stability; while less maneuverable than 3-wheel scooters, 4-wheel models are less likely to tip over during a sharp turn. Speed: For some people, there's only one measure of how serviceable a mobility scooter is: raw speed. Some users want to get where they're going as quickly as possible; others may have concerns about having a scooter that can move faster than they can safely handle. Most travel scooters range from 3 to 5 mph top speed, whereas larger scooter models have top speeds of 5 to 8 mph. 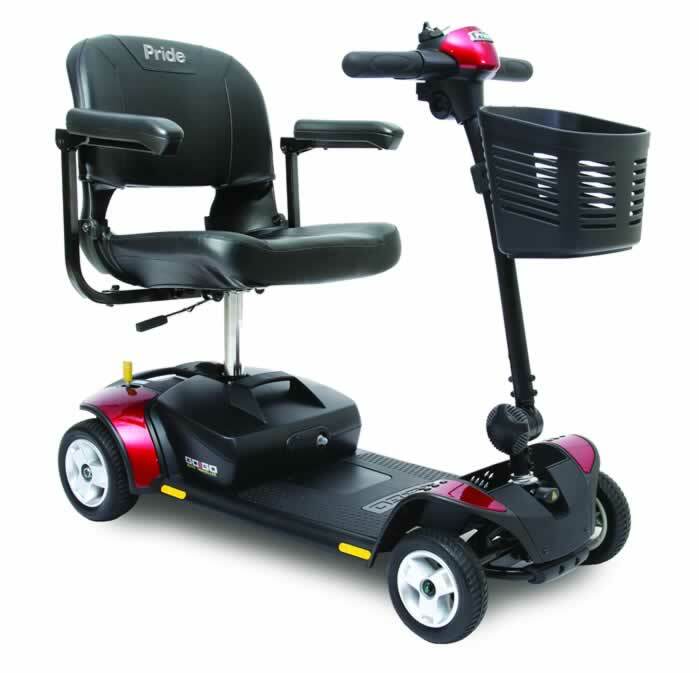 If you want a mobility scooter that offers top speed performance, we recommend the Pride Wrangler, which can travel up to 10 mph! For your convenience, each of our product descriptions offers the maximum speeds of the scooter depicted. Weight Capacity: Just like our scooters, people come in all shapes and sizes, too. Consider your weight capacity needs before buying a scooter. This isn't just a function of body weight; if you intend to use your scooter for shopping, you'll want to factor that into your calculations, too. Most travel-size electric scooters support weight limits of about 250 pounds, though a few can carry as much as 275 or 300 lbs. A larger 3 wheel scooter or 4 wheel scooter can support 300-350 lbs. 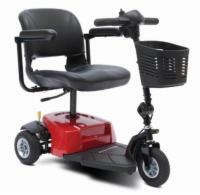 The highest weight capacities are found on heavy duty mobility scooters, which usually can hold up to 500 lbs. Again, our product descriptions will state the maximum weight limits of all our electric scooters. 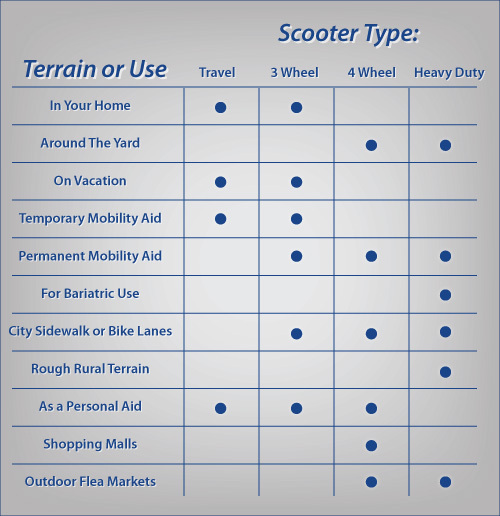 Our Mobility Scooter Quick Reference Chart below matches types of electric scooters to specific terrains and locations. Find the places you are most likely to use a scooter, and the chart will tell you which kinds we recommend!